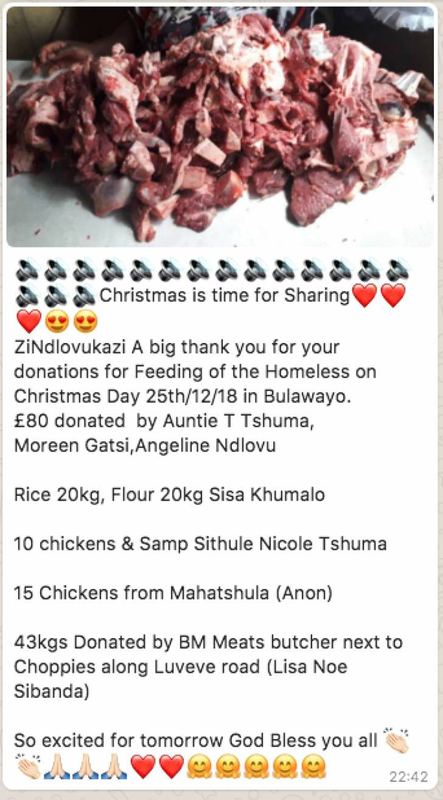 The UK based Matebeleland and Midlands women Facebook group 'Qoki, ZiNdlovukazi...Manina Amahle' has again done Bulawayo proud by feeding the homeless this Christmas. Being homeless comes with a lot deprivations and tells a horrendous story at this time of the year. This is the time when families and friends come together to share food and presents and be merry. If you are homeless you are on your own, just seeing Christmas decorations in shops and wishing you had a home to decorate and family to be with. This year, as many families face a bleak Christmas due to the prevailing Economic problems, some of the homeless people in Bulawayo are with contented tummies, courtesy of Qoki ZiNdlovukazi and other donors who offered them food items. I will not forget to mention the volunteer ladies who offered to cook for them. Well done to Qoki for bringing huge smiles to this forgotten and hidden community of Bulawayo. We hope Sithule Tshuma and Qoki ZiNdlovukazi will continue with what is certainly becoming a tradition of giving in the City of Bulawayo, Matabeleland and Midlands. Last year's Christmas saw Qoki ZiNdlovukazi donating toys to Children’s hospital and different items to Maternity and Post Natal wards at Mpilo Hospital. The initial significant Qoki ZiNdlovukazi donations were it's blankets to 15 hospitals District Hospitals including Sipepa Clinic in Tsholotsho when the area was hit by floods. Recently Qoki donated to Thorngrove during Cholera days. 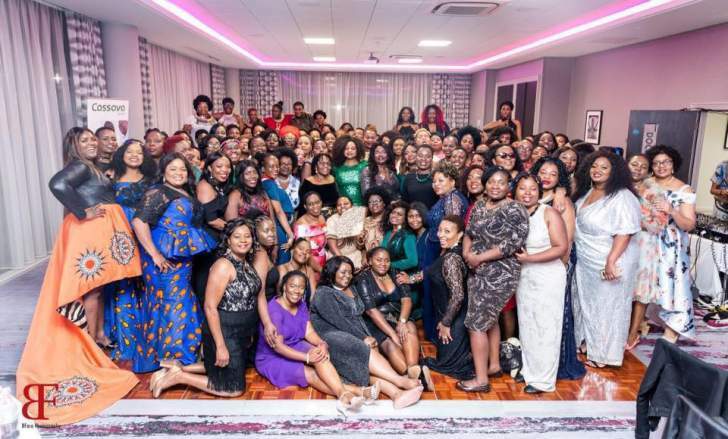 Indeed, this is a sign unwavering support to the community that should be emulated, nursed and encouraged. Merry Christmas and let’s remember to give to those who are less fortunate and in need.